A top of the line helmet offering unsurpassed comfort and fit together with all Italian styling and manufacture which incorporates a number of unique design features that make it stand out from the rest. 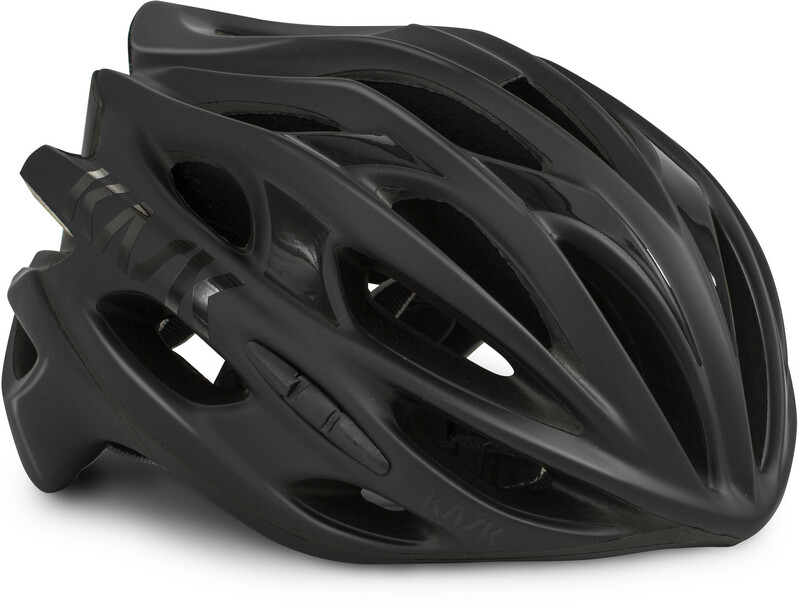 One of the safest best fitting and most stylish range of cycling helmets available globally. The all-Italian-made KASK helmets are the choice of Team Sky where no secret is made of the fact that every element has been selected to deliver a winning advantage for the team.The superior quality of the KASK styling and workmanship that has gone into these helmets is evident in the overall finish and attention to detail in every feature. In particular the helmet incorporates a unique hinged adjustment system that allows for both size and up/down adjustment which together comfortably cradle the nape of the neck. The helmet size can be adjusted using either the dial or finger push system. This system also includes ventilated non-stick pads. Working together these features give the helmet a superior fit and deliver a feeling of improved security that is quite unlike any other helmet.Unsurpassed ventilation is achieved by means of 26 large air vents a design feature made possible by the reinforced helmet frame - all delivered without any compromise to the safety or aerodynamic qualities of the helmet. Hygiene is also well thought through and each helmet has an easy-clean leatherette chin strap. The internal pads are made from Sanitized fabric which draws perspiration away from the head and these pads are removable and washable.Nylon thermo fixed straps have soft lateral spacers where these straps are in contact with the skin giving excellent ventilation and comfort and there is a quick release buckle. 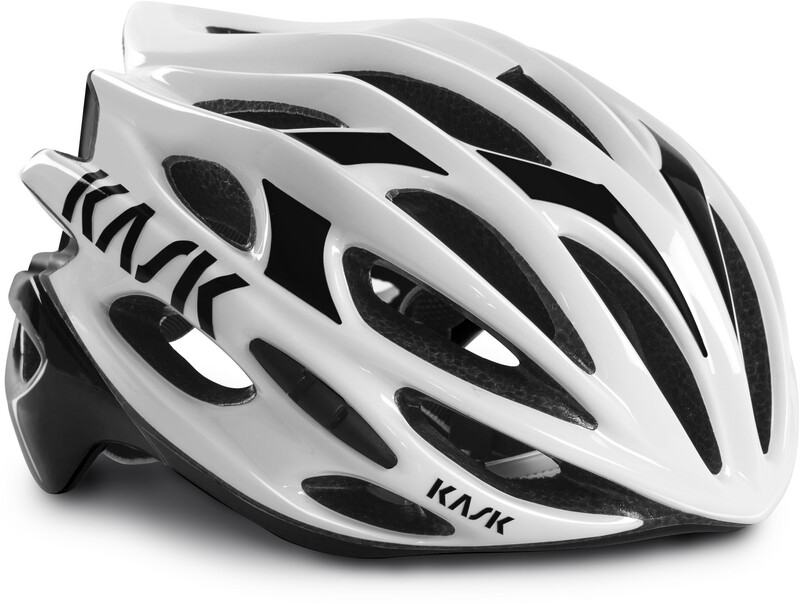 On top of this KASK has gone beyond the usual minimal consideration of visibility. 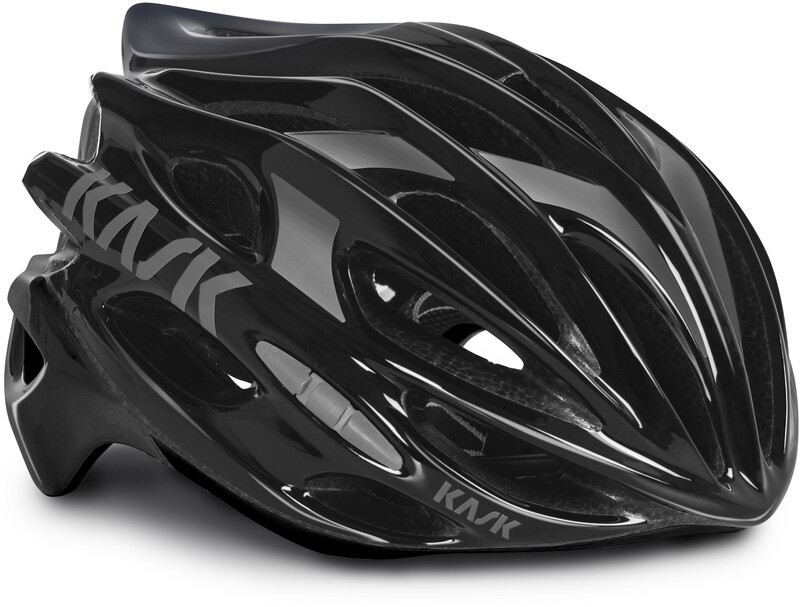 In addition to the standard reflector stickers on the back each helmet has reflective strips on every strap.FEATURES:In-moulding innovative construction with reinforced frame for additional safety. Ventilation is achieved by means of 26 large air vents arranged to optimize aerodynamics. Unique UP-N- DOWN size hinged adjustment system gives the ultimate fit in terms of precision comfort and security. Ventilated non-stick pads at nape of neck for additional security. Easy-clean leatherette chin strap. Nylon thermo fixed straps which have soft lateral spacers where these straps are in contact with the skin to give excellent ventilation and comfort. Chin pad is made from non-allergic imitation leather which improves wearing comfort and eliminates skin irritation. Quick release buckle. Sanitized internal padding optimizes evaporation of sweat and removable and washable. High-visibility reflector stickers on the back of the helmet and on every strap for maximum safety. Weight: 220 grams. 100% made in Italy.